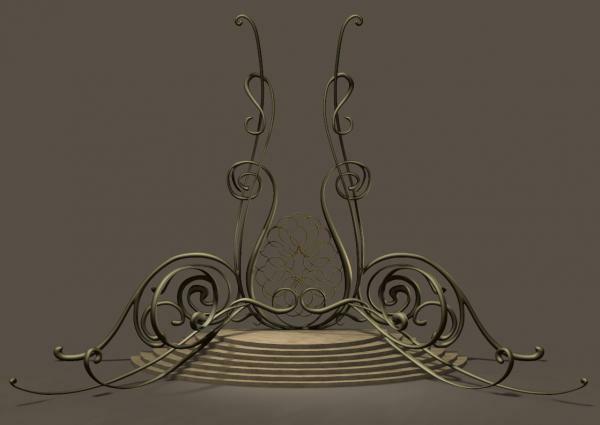 An ornate stand with a flight of stairs and various swirly things. Good for stage divas, royalty or visiting alien overlords. 8 material zones. thanks this is beautiful. going to use it for a fey suspension image been thinking about! What a lovely harmonicly resonant design. Thanks. cabbieg (7 years ago) Inappropriate? These swirly things are just great! Love 'em. Keep it up! Thanks.